Application timing and stabilizer use help maximize crop nutrient investments. Up to 5 percent of nitrate was lost per day through nitrification in wet soils with V1 to V3 corn. Nitrogen losses were as great as 70 pounds per acre due to denitrification on heavy ground when saturated soils received a simulated three-day rain event. On light-textured soils, nearly all applied nitrogen was lost under extremely wet conditions. Around 25 percent nitrate loss occurred when soil temperatures were 55 to 60 degrees Fahrenheit and fields were saturated for up to 10 days. Losses increased as soil temperature increased. Andrew Usher takes a closer look at nitrogen application patterns. 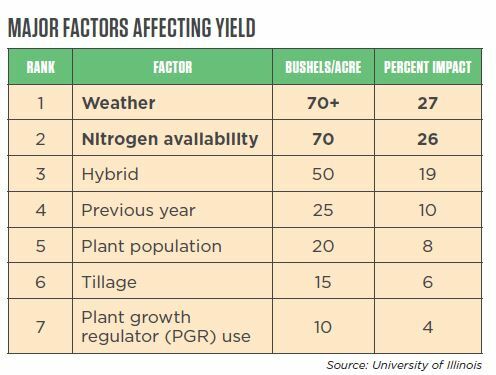 Nitrogen efficiency products are an effective tool for protecting a grower’s nitrogen investment. “Denitrification inhibitors and urease inhibitors help reduce nutrient losses to the environment and increase nitrogen availability to the crop,” notes Usher. This season CHS Agronomy has added N-Edge® 2 nitrogen stabilizer to its line of nitrogen efficiency products. With the same proven urease inhibitor (NBPT) as the original N-Edge, the new formulation contains more active ingredients, making it more cost-effective per ton while providing a wider window of protection. “The new formulation also contains a superior solvent system to reduce blending and drying times,” says Usher. Both N-Edge products can be used to treat urea or UAN and provide up to 21 days of protection from volatilization. Volatilization depends on time and method of application. Surface applications of urea and UAN are prone to volatilization. Leaching is greatest in humid environments, in highly permeable soils and in soils with tile drainage. Immobilization is greater (about 20–40 percent) in high-residue environments, but less in conventional tillage and corn-soybean rotation systems (about 10 percent). Denitrification is greatest in poorly drained soils, but only when soils are warm. Some state organizations have proposed restrictions on crop nutrient use. Leadership efforts within the U.S. Department of Agriculture and state departments of agriculture, combined with advocacy activities by industry groups including The Fertilizer Institute (TFI), have encouraged farmers to implement voluntary changes to crop management strategies and nutrient use. source, applied at the right rate, at the right time and in the right place. 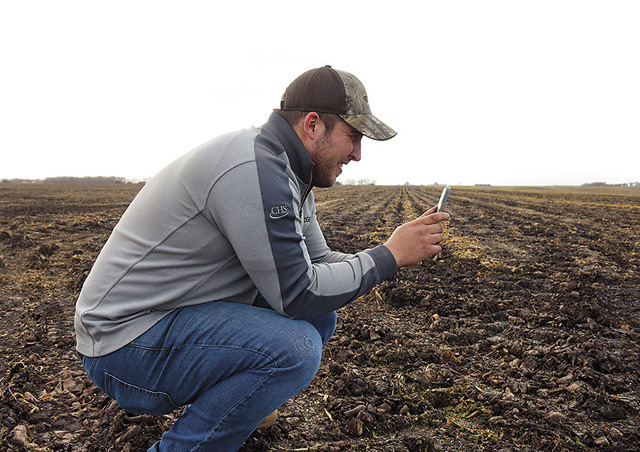 Technical assistance — The new bill outlines a framework for providing technical assistance to help farmers adopt 4R practices to fit their operations, as well as third-party certification that involves cooperatives, other ag retailers and nonprofit organizations. includes the Environmental Quality Incentives Program (EQIP). Follow-up data — Collecting information on the results of these activities will help identify best practices and guide future programs and funding.